With both Blue Cat's MB-5 Dynamix and its natural compliment, Blue Cat's MB-7 Mixer, this plug-ins bundle brings a complete multi band processing solution to your digital audio workstation. 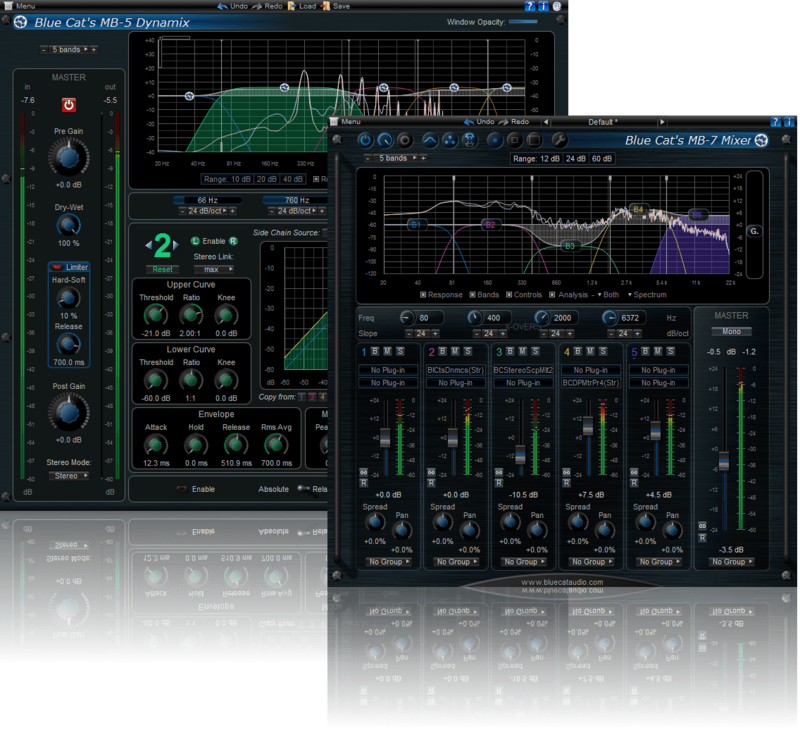 The package includes powerful multiband side chain effects capabilities, thanks to the unique connectivity features of these plug-ins. 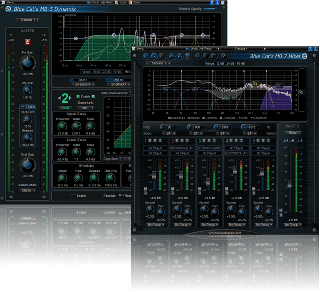 Thanks to Blue Cat's MB-7 Mixer VST hosting capabilities, this package can be extended by Blue Cat Audio or other third party VST plug-ins to perform any kind of multiband processing. For more information about the 2 products included in this bundle, see the list below. "These are precise, almost scientific tools[...]. So, they require time to truly get to grips with. In return, they'll continue to deliver as you explore their depths. [...] Pros: Clever ideas well implemented, Quality multiband processing, MB-7 linking options a nice touch, Cross-band internal sidechaining. "With Blue Cat Audio’s innovative MIDI side-chaining system, the sky’s the limit. We shouldn’t overlook the core features of the MB5 multi-band dynamics processor. [...] You’ll have a job finding anything else quite so comprehensively specified. A highlight of Blue Cat plug-ins in general, and MB5 and MB7 in particular, is the amount of visual feedback they give you. [...] Everything you’d reasonably expect to be able to click on and move about can be clicked on and moved about.[...] Extreme parameter ranges on offer mean you can create some pretty out-there effects, especially when you get into abusing MB5’s upwards compression.